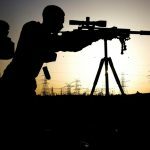 MARINE CORPS BASE CAMP LEJEUNE, North Carolina – January 11, 2016 – The 2nd Marine Division Combat Skills Center began to train tomorrow’s Marines of the scout sniper community with the Pre-Scout Sniper Course at Camp Lejeune, North Carolina, Jan. 6. 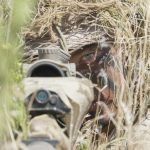 The three-week course is designed to prepare Marines for the Scout Sniper Basic Course, and instructs them in skills such as observation, stalking an enemy, camouflage, land navigation and marksmanship with the M40A5 sniper rifle. 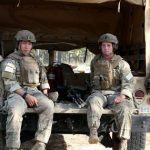 “The purpose of the course is to develop these Marines in scout sniper skills and get them prepared for the school house,” said Sgt. Douglas Cairns, an instructor in the course. 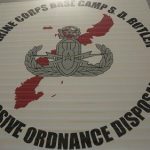 According to Cairns, the course was instituted as a result of the attrition rate from Marines in the Scout Sniper Basic Course. The Pre-Scout Sniper Course acts as a stepping stone of training to prepare Marines for the 79-day evolution and help them earn the coveted military occupational specialty of scout sniper. The first week of the course focused on classroom instruction on scout sniper fundamentals such as camouflage application and construction of a ghillie suit. 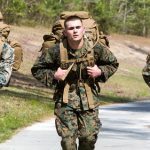 Kleinsasser believes his original role as an anti-tank missileman with 1st Battalion, 6th Marine Regiment, greatly differs from the tasks demanded of him and others in the course. He aspires to join the scout sniper community to be a part of a specialized group of Marines. The second week of the course will see Marines taking aim down the Carlos Hathcock Range in known-distance firing. The course’s final week will put Marines to the test with a land navigation and stalking exercise.